After trying dozens of pillows, being frustrated, and a rather hot sleeper, I have found the one. This pillow stays true to its name and is beautifully designed! Although a bit pricey on the high end, you get what you pay for. I highly recommend the Bedgear Nature Performance Latex pillows to anyone looking for that perfect comfort! The delivery time is longer than average but well worth the wait! It is a pretty firm pillow but after nights use, the absolute most comfortable! 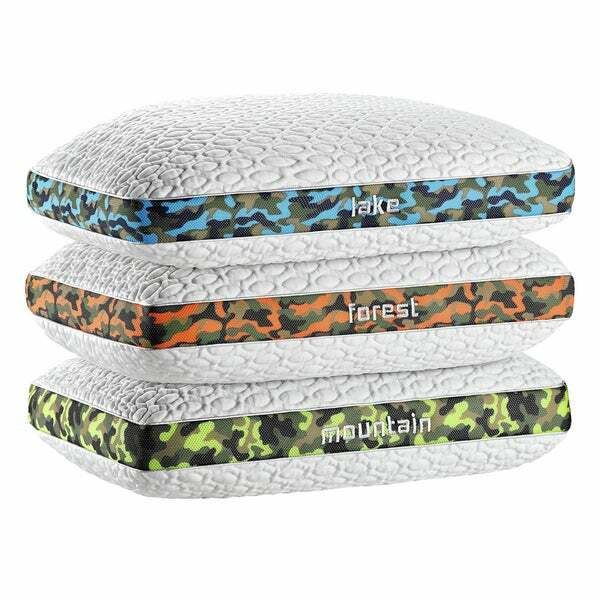 The unique dual chamber construction of the Nature Performance pillow series features a Boost® foam crown and Boost foam blend which ensures weightless pressure relief that won’t bottom out, creating the perfect pillow for soft support with no rebound. The Ver-Tex® 6.0 climate control fabric provides a cool to touch feeling and continuous heat deflection, regulating your body temperature for a cooler nights rest. The Air-X® ventilated panels increase airflow and feature a filter fabric which prevents allergens and dander from entering the pillow core. You can sleep on it the same night it is unwrapped, however allow 48 hours to fully return to its original shape. Vacuum sealing sometimes traps odors. After unwrapping, air product for a few hours to eliminate trapped odors. The best pillow I have ever slept on!!! This pillow is SO comfortable and actually does feel cool to the touch. The material is soft and kind of slick. My bamboo pillow cases slide around but the comfort is worth it. My DH loves the pillow. He reports he is sleeping better and longer. I love that he quit snoring. I love this was easier and more cost effective than a sleep study. I really like this pillow. It is comfy & pretty good quality. It wasn’t as thick as my other bedgear pillow, but I still really like it & sleep really well with it. Great pillow! Husband LOVES it. The shipping was fast and I love the text messages that are sent with the shipping updates. It even arrived before the date originally stated, which was a happy surprise! Thank you Overstock.com! I will definitely be a return customer. Love the Brand, great price but too firm. Also, delivery was too long. We ordered these on Dec 30th and did not receive them until Jan 11th. We will be returning, only because they are too firm for my wife. Best Pillows for Reading in Bed from Overstock.com. Our guides provide customers with information about the best pillows for reading in bed.